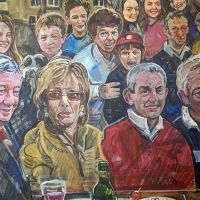 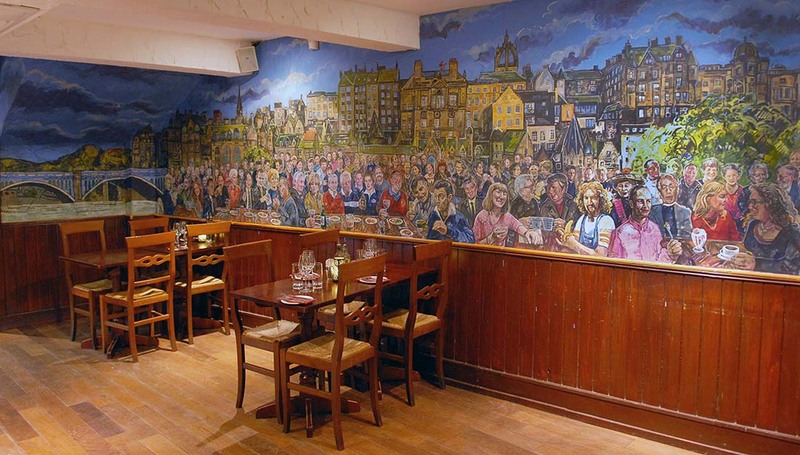 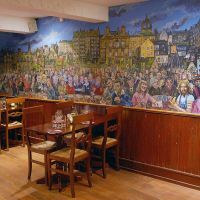 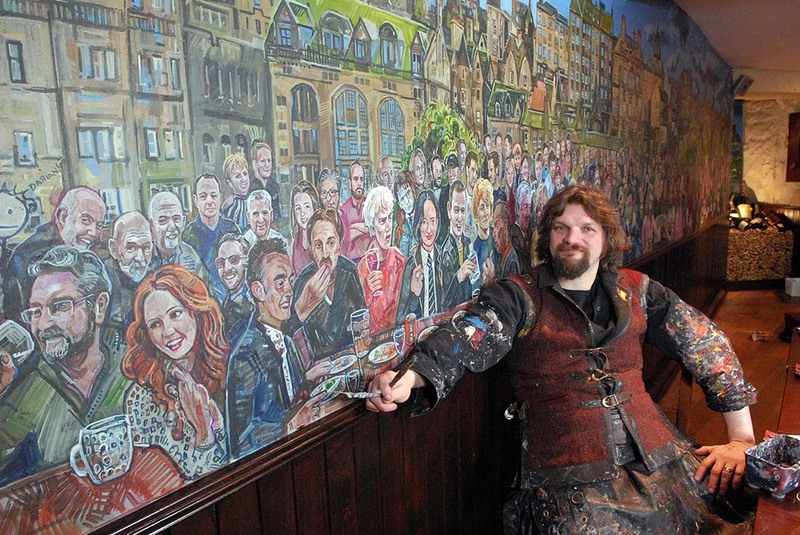 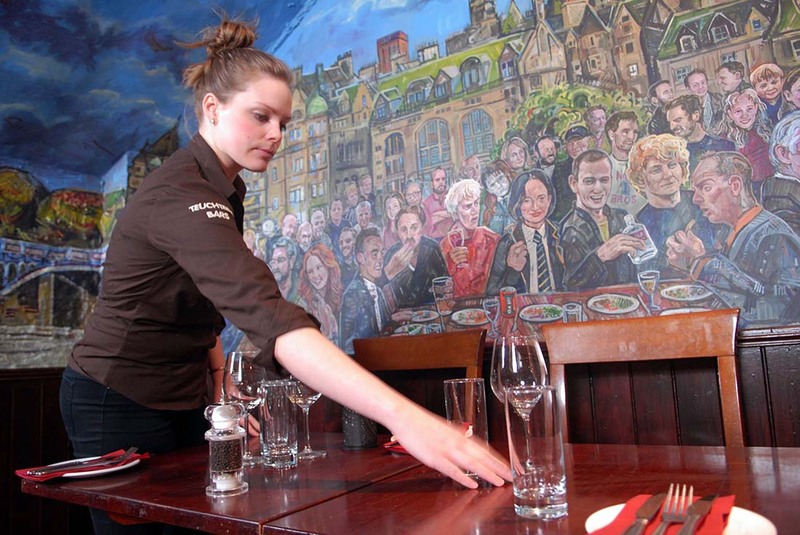 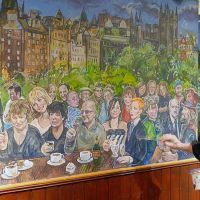 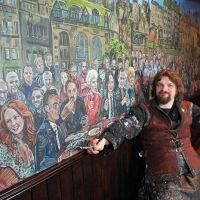 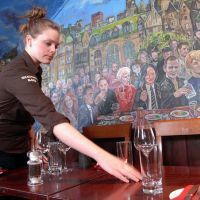 In late 2016 Chris began working on a 12 metre long mural in the Edinburgh West End restaurant A Room In The West End, replacing an older, existing mural that was in need of a face lift. 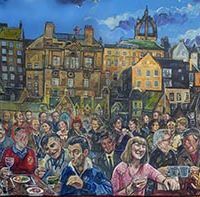 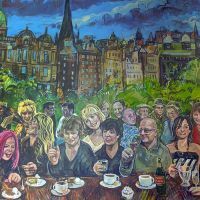 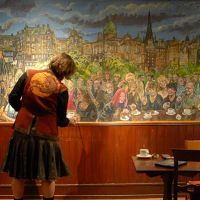 Chris created a Scottish nostalgia mural of a lively outdoor cafe scene beneath Edinburgh's Old Town skyline, and as it coincided with the release of the film Trainspotting 2, he also included the original cast of the first film, alongside director Danny Boyle. 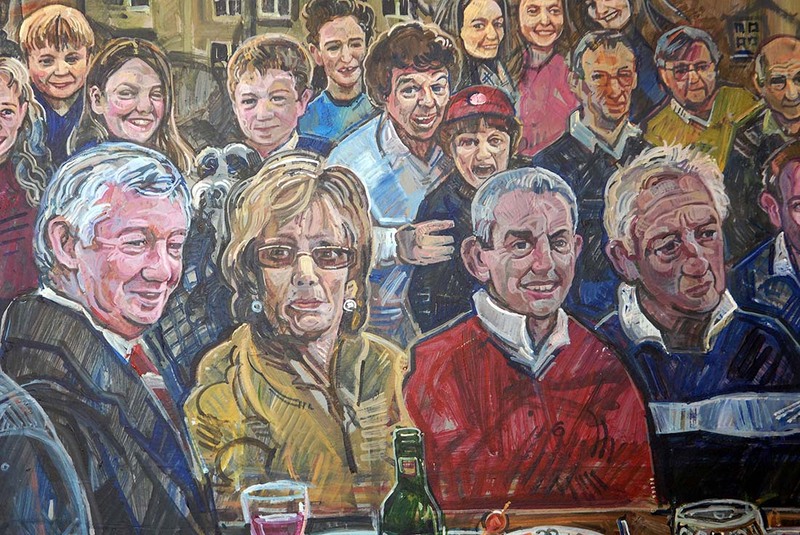 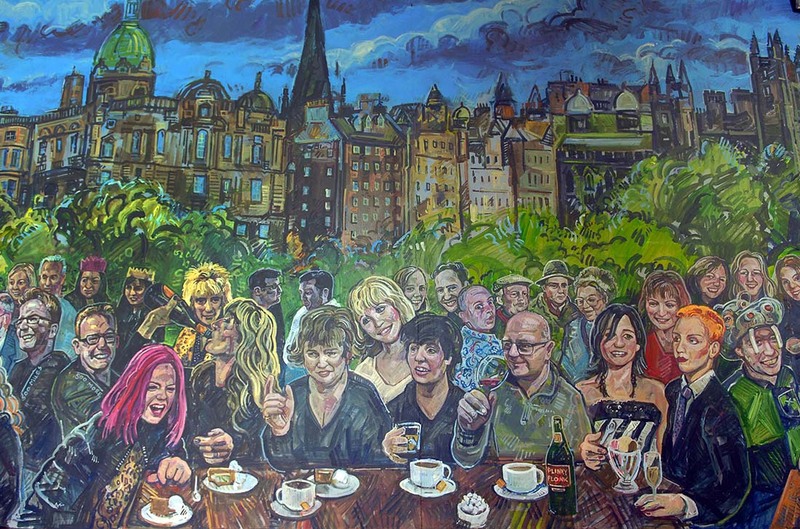 The mural also features Tilda Swinton, Shirley Manson, Sharleen Spiteri, Lulu, Annie Lennox, Susan Boyle, Lorraine Kelly, Rod Stewart, The Proclaimers, The cast of Still Game, Andy Murray, Jamie Murray, Shirley Henderson, J.K. Rowling, Sean Connery, Princess Anne, Billy Connolly, Alex Ferguson, Bill McLaren, Gavin Hastings, John Jeffry, David Sole, Jim Telfer, Ian McGeechan, Andy Irvine, The Krankies, Rikki Fulton, Karen Gillan, Super Gran and Shrek.